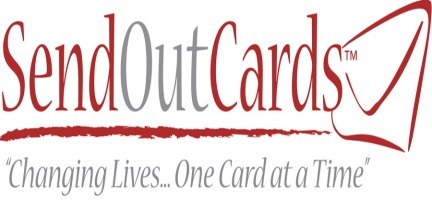 Send Out Cards is an online greeting and gift company founded in 2005 by Kody Bateman with the mission to change lives, one card at a time. Their unique system allows any business owner or entrepreneur to send out follow up cards or greeting cards to prospective customers as easily as sending out e-mails. It allows you to customize your cards with your own message and photos. You choose your card, write your message and click send. Unlike the traditional methods, you don’t have to go out to the post office. 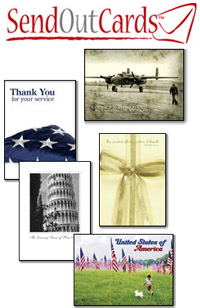 Send Out Cards want to help you act on your prompting, help your business by sending genuine thank you’s and reminders, keep you organized since you can keep all your addresses in one place, make it easy for you, remind you plus bring the gift to you, making it no hassle to choose from stores. With today’s technology, you can implement simple rules that will make a significant impact in your personal and professional life. There is no Canadian location but there are Canadian SendOutCards Consultants. It is a multilevel marketing company and one can become a “distributor” or “affiliate” by making an initial investment and pay their annual fee like any other multilevel marketing company.